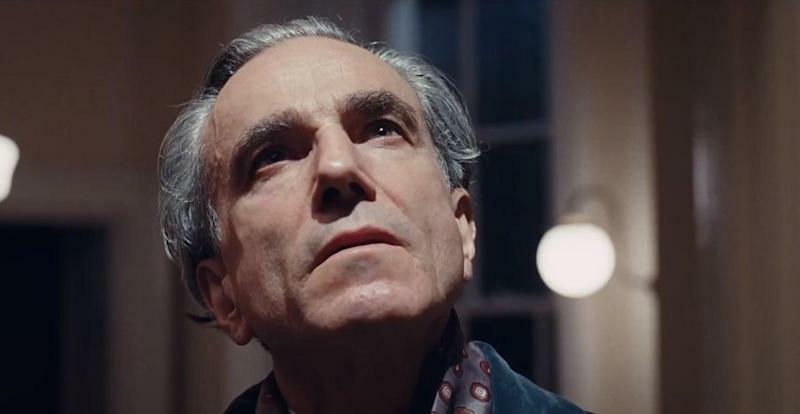 Daniel Day-Lewis in the Oscar-nominated 2017 film "Phantom Thread." One of the oldest tropes in Hollywood’s playbook is the portrayal of women as mysterious. Whether it’s femmes fatale or would-be lovers who play hard to get, women who are too “crazy” or simply too beautiful to grasp, this sexist sleight-of-hand shows up often in the depictions of romance offered up by an industry in which men still comprise thevast majorityof the storytellers. The ruse unravels somewhat in ”Phantom Thread,” Paul Thomas Anderson’s lavish romantic drama that’s up for Best Picture at this weekend’s Oscars. What might seem like a familiar love story about a powerful but insecure artist and his muse slowly turns into something more disturbing. In one scene, fashion designer Reynolds Woodcock (Daniel Day-Lewis) and his new love, Alma Elson (Vicky Krieps), fall into an argument about, among other things, the way she cooks asparagus. Reynolds returns from a long walk to find that Alma has sent all his staff home so the pair can enjoy a quiet dinner together. This disrupts his sense of routine in a house where he typically calls the shots. 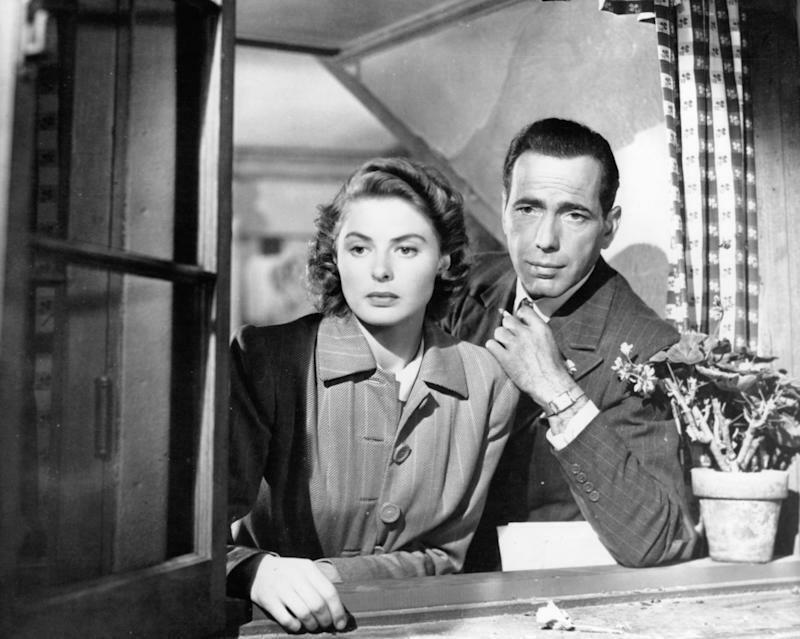 Ingrid Bergman and Humphrey Bogart look out a window in a scene from the 1942 film "Casablanca." Reynolds is a uniquely tortured and comical creation, but his way of reducing women to impossible enigmas ― so that he doesn’t have to bother considering them human beings ― is a staple of romantic cinema. From “Casablanca” to “500 Days of Summer,” the myth of the mysterious woman appears alongside what writer Lili Loofbourow calls the “the myth of themale bumbler” and that beloved trope of the prestige drama, the brooding and complex male genius. And as Hollywood responds to the wake-up calls of the Me Too and Time’s Up movements, filmmakers and viewers alike must reconsider how representations of romancereflect and shapethe way real-life men ignore women’s needs and desires. While the bumbling men of Judd Apatow romantic comedies tend to be, as Loofbourow describes them, “wide-eyed and perennially confused,” romantic brooders like Reynolds are always thinking about somethingvery serious, and have no time to understand what their partners really want. Romantic scripts are predicated on moments of confusion; they derive drama and comedy from misunderstandings, such as when Noah in ”The Notebook” realizes his love letters never reached Allie, or when Mary in ”There’s Something About Mary” discovers that Ted has deceived her for months. But too often, the blame for the lack of clarity falls not on bumbling or brooding men, but on the women, who fail to grasp how a man’s “genius” or “one-track” mind apparently creates an innate inability to feel empathy. Wounded men contain multitudes, these movies tell us, so they can be easily forgiven for their brash actions ― but mysterious women are empty. And while the image of the brooding man tends to suggest a vast interior world worth exploring, an unknowable woman can always be reduced to a shiny object, which makes her much easier to dominate. Off-screen, the beleaguered bumbler dynamic played out in the public response to reports of the fraught sexual encounterbetween actor Aziz Ansari and a woman called “Grace” in an article describing their date. Ansari has insisted that everything seemed “okay” to him afterwards and that he was “surprised” to learn that Grace’ experience was so negative. In the aftermath of that story, some commentators seemed to blame Grace for her lack of clarity, with New York Times editorBari Weissquipping that Ansari was only guilty of not being a “mind reader.” The subtext in these statements is that women are hard ― perhaps even impossible ― for men to read. Thatwomen play games. 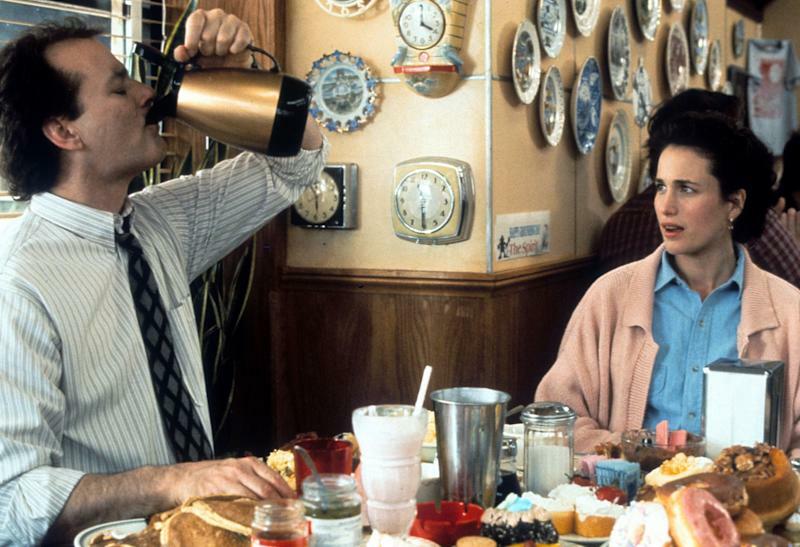 Bill Murray puts down a pitcher of coffee with Andie MacDowell in a scene from the 1993 film "Groundhog Day." Studieshave shownthat men are perfectly capable of reading women’s consent signals, even if they pretend otherwise. But that hasn’t stopped Hollywood from perpetuating the stereotype of clueless men flummoxed by enigmatic women. In Netflix’s new romantic comedy ”When We First Met,” a man travels back in time repeatedly in an attempt to figure out how to make the woman of his dreams fall in love with him, regardless of whether she was ever interested in the first place. This is a trope viewers might recognize from romantic comedies like ”Groundhog Day,” ”50 First Dates”and “About Time.” The moral of these romances is not that men should listen to women, but thatreal menperseverein their attempts to convince women that they like them (or in the case of ”When We First Met,” until they realize they’ve been using their powers on the “wrong” woman). This idea that women are so hard to understand that it takes science fiction to crack the case ― or magic, as in the 2000 romantic comedy ”What Women Want”― relies on a misogyny that excuses men’s predatory behavior under the cover of supposed feminine irrationality. If women are too complicated to comprehend, or if, as the title character in the 2005 romantic comedy ”Hitch”claims, “she’slyingto you,” why should men even try? They can’t be blamed for misunderstanding women who are intentionally deceiving them. Anderson’s film takes this thinking to its logical extreme, with Alma’s duplicity reaching the point of absurdity when she poisons Reynolds in an effort to save their union. See,she istrying to ruin his entire life! Luckily for Alma, she figures Reynolds out before he can do her any physical harm; she finds a path to temporary safety within their disturbing relationship, not unlike Belle in ”Beauty and the Beast”(which partiallyinspiredAnderson’s film). Many have celebrated how ”Phantom Thread”“undresses” toxic masculinity anddeconstructspsychological abuse, but others havepointed outthat the film still doesn’t give Alma the same depth it gives Reynolds. It never turns itself over completely to her or to his sister Cyril (Lesley Manville), and the two women remain trapped in Reynolds’ beautifully designed patriarchal home within a patriarchal society. So while Anderson’s film may show us that the myth of the mysterious woman is rooted in men’s fear of losing power ― of succumbing to femininity ― it still ends up centering men. It’s patriarchy that needs unraveling, not women. What those in power, in Hollywood and beyond, must provide to young men is a map to guide them through the maze of masculinity, without reaffirming the supposed “mystery” of women and femininity (feminists have been creating suchguidesfor years). Despite the seemingly endless headlines suggesting otherwise, men are not incapable of understanding and honoring women’s desires. Rather, our society ― as our most popular and beloved films show ― has been designed to obscure those desires. And it has been designed to allow men to ignore what should be obvious: that women, just like men, want to be treated like human beings. Imran Siddiquee is a writer, filmmaker and activist focused on representations of gender and race in the media.